At the World Health Assembly in May 2003, the People's Health Movement (PHM), together with the Global Equity Gauge Alliance (GEGA) and Medact discussed the need for civil society to produce its own alternative World Health Report. It was felt that the WHO reports were inadequate; that there was no report that monitored the performance of global health institutions; and, that the dominant neo-liberal discourse in public health policy also needed to be challenged by a more people-centred approach that highlights social justice. 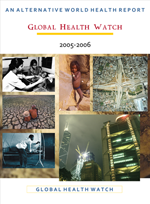 The idea of an alternative World Health Report since developed into an initiative called the 'Global Health Watch - GHW' the first of which was launched on July 20, 2005 in Ecuador and London. 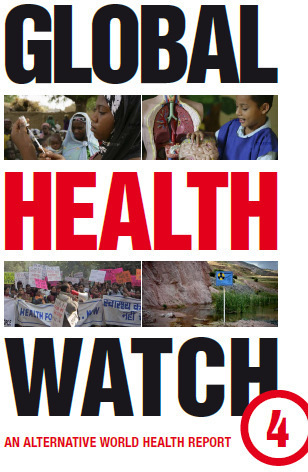 The Watch uses the concept of an alternative world health report to promote the involvement of as many individuals and civil society organisations as possible. Many prominent NGOs and academics from other institutions have become centrally involved in the production of certain chapters of the first Watch, see collaborators. And in some areas, independent networks and initiatives are being catalysed to develop alternative regional and national health watches to accompany the Global Health Watch, see Get Involved.